Recorded on November 23 and 24, 2011 at the Wright Theater, University of Baltimore. BIOS Born in Moscow, Russia, critically acclaimed violinist Igor Yuzefovich was recently appointed Concertmaster of the Hong Kong Philharmonic Orchestra, having previously served as the Assistant Concertmaster of the Baltimore Symphony and Concertmaster of the Lancaster Symphony Orchestras. Mr. Yuzefovich began his violin studies at the age of 5, and was soon accepted into the Gnessin Music School where he studied with Irina Svetlova. Since 1991, Mr. Yuzefovich has resided in the United States, and continued his studies with Jody Gatwood, Leri Slutsky and Victor Danchenko, earning degrees from the Peabody Conservatory of Music. 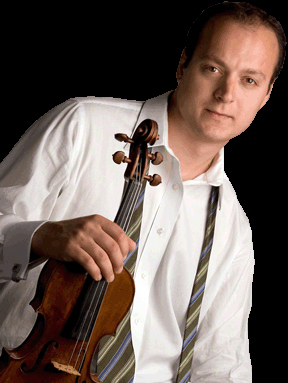 A winner of numerous competitions, Mr. Yuzefovich has performed in countries across the globe. His concerts have taken him from Carnegie Hall in New York to the Cairo Opera House in Egypt to the concert halls of the Far East and the Southern Hemisphere. As an active chamber musician, Igor Yuzefovich co-founded the Monument Piano Trio in 2004, which debuted to critical acclaim in Baltimore, Maryland and has since captivated audiences across the United States. In November of 2011 the Trio released their debut recording, featuring trios by Brahms, Shostakovich and Schoenfield. In addition to a busy schedule with the HKPO and the Trio, Mr. Yuzefovich leads numerous master classes and is in high demand as guest concertmaster. Please visit www.igory.net to learn more. Principal cellist of the Baltimore Symphony Orchestra, Dariusz Skoraczewski has delighted audiences of many concert halls in America and Europe with his great artistic and technical command of the instrument. As a soloist he performed with numerous orchestras in the US including the Montgomery Symphony, Alexandria Symphony, Arlington Philharmonic, Lancaster Symphony and the Baltimore Symphony Orchestra. As a chamber musician, Dariusz appeared in many chamber music concert series including the Candlelight Series, Music at the Great Hall in Baltimore and the Barge Music Festival in New York City. In November of 2005 he gave his Carnegie Hall debut, which was sponsored by the La Gesse Foundation. 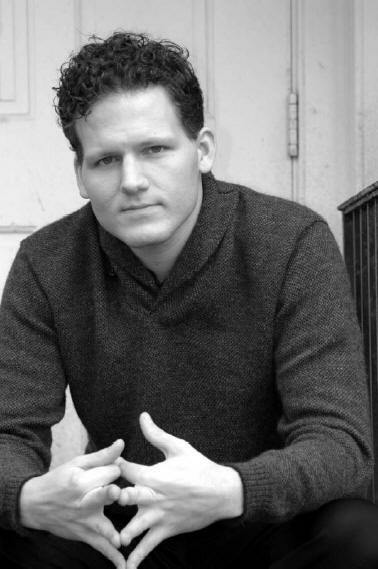 Already a rising star of his generation of artists, Michael Sheppard is “a wonderful musician and a totally phenomenal pianist.” (Leon Fleisher, internationally renowned pianist and pedagogue.) Trained at the Peabody Conservatory of the Johns Hopkins University in Baltimore, he studied with Mr. Fleisher and also with Ann Schein, who was a student of Artur Rubinstein and Dame Myra Hess. As one of two 2003 Classical Fellows of the American Pianists Association he toured Southern Asia and the Middle East in collaboration with the Cultural Programs Division of the United States Department of State. Throughout the tour he played concerti with national orchestras, was guest soloist with resident chamber music groups, played public solo recitals as well as privaterecitals for the diplomatic community, gave masterclasses at higher Institutes of Music and conducted informal presentations in secondary schools and universities. Upon his return he made his Kennedy Center debut. Since then he has made his debuts with orchestras in the Midwest, Southeast, Soutwest and Pacific Northwest in addition to solo recitals, radio-broadcasts, and masterclasses throughout the nation and Europe, including several Weill (Carnegie) Hall recitals. Sheppard has received critical acclaim as a grand interpreter of transcriptions of operatic tunes as well as American musical theatre in addition to the traditional piano repertory. Deeply committed to new music, he has worked closely with composers Nicholas Maw, Michael Hersch, Robert Sirota and John Corigliano. Sheppard is a composer in his own right and often programs his original compositions. In addition to being a Classical Fellow of the American Pianists Association, Sheppard has also been a Fellow at the Tanglewood Music Center and the La Gesse Foundation and a prizewinner in the National Federation of Music Clubs National Competition. His recently-released album of contemporary American music for the Harmonia Mundi label has been getting rave reviews. A native of Philadelphia, he resides in Baltimore, where he is represented by Chesapeake International Artists.